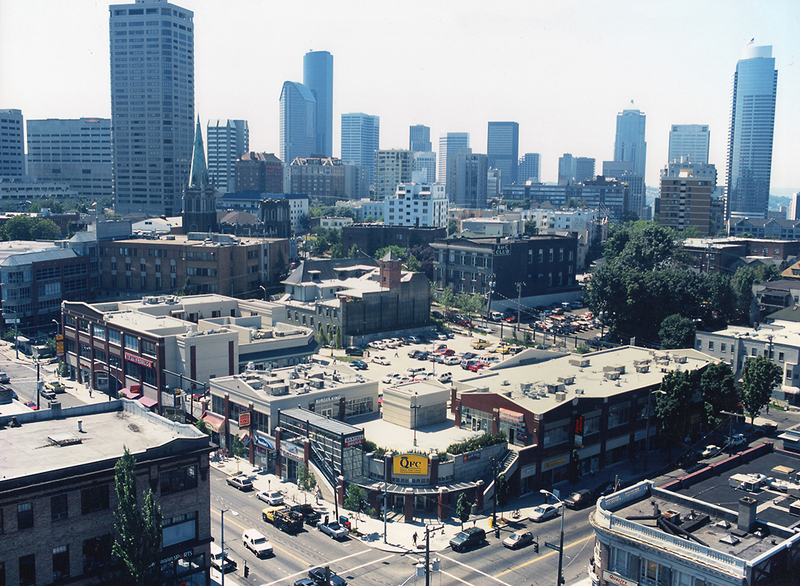 The award-winning Harvard Market is located at East Pike and Broadway in the Capitol Hill neighborhood of Seattle, immediately adjacent to Seattle’s downtown core. The Harvard Market serves a population of more than 44,000 living within one mile, making it truly urban. The project includes a 46,000 square foot QFC grocery store, a 15,000 square foot Bartell Drug store and approximately 25 other shops, including Washington Mutual, GTE Wireless and Subway. Outdoor escalators and elevators link the two levels of retail. In addition, there are two residential penthouses on a third, separate level, which creates a truly mixed-use environment. Ample parking in both an underground and surface parking lot adds the final touch in a neighborhood where parking is at an absolute premium.